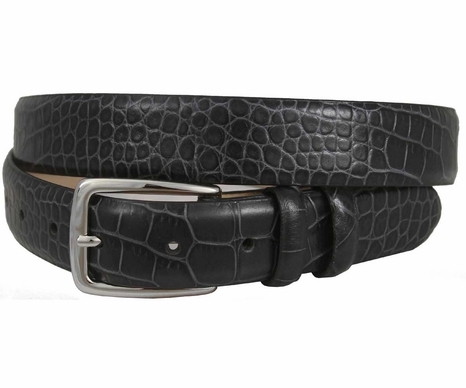 Shown in Fine Italian Crocodile embossed Calfskin Charcoal color Belts 1 1/8" wide. lined with soft Genuine Leather and Solid Brass Buckles With matching leather keepers. Sizes Avaliable from 32" thru 54".